Networking. I do love to network, you might have noticed from my Social. Why do I network? Well I enjoy chatting and having a coffee. But of course, that is not the main reason. As an entrepreneur and business owner, networking is a key element of my own marketing activity. Building relationships, creating connections, helping others and passing on referrals – all have a way of coming back to help my own businesses. Yes, I have generated new business from this activity, but also supported others and collaborated on projects. I have definitely gained confidence along the way. Recently several people have asked me to recommend networking groups. So, I thought I would share some of my top tips for networking and some of the groups that I would endorse. All gained from getting out my comfort zone, sometimes getting it right and occasionally making the odd error along the way. Do some research and test out which networking groups are a good fit for you and your business or organisation. Go with intention, what do you want to achieve at the group? Who would you like to meet? Build relationships. Don’t go with a ‘hard sell’ mind-set. Do you have anything in common? Can you help them with a business issue? When they ask what your business is, initially be concise – create a short 60 second story. You can provide more detail in follow up meetings/conversations. Perhaps obvious… but have your business cards, so you can exchange contact details. Connect on LinkedIn after the Event. I include a personal message when I invite someone to connect. Continue to build the relationship, if appropriate invite to a follow up coffee. Networking is excellent for building confidence. Why not encourage your team members to network – great for personal growth and development. There is an abundance of networking groups – from general business, through to industry specific. You can find ideas on Eventbrite, https://www.eventbrite.co.uk/ or through your own professional organisations. Membership organisation, represents over 1,000 businesses and offers a wide range of networking events, trade missions and training. If you are doing Business in Edinburgh, I would highly recommend joining. Established in 1992, Edinburgh’s longest running women’s membership networking group. I am slightly bias, as I currently sit on the Committee. We facilitate a range of networking and training events, support businesswomen whether they run their own business or work for an employer. Members get preferential rates on Events, however non-members are very welcome to attend Events. 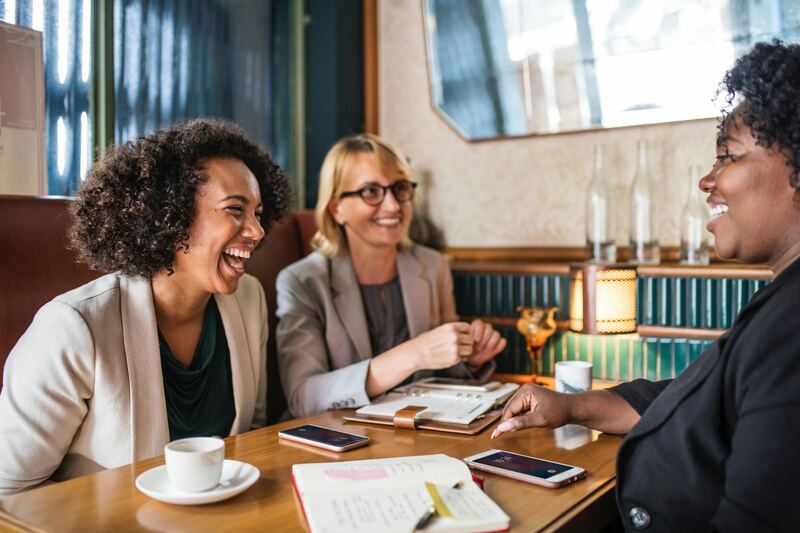 The Club is an affiliate member of the Association of Scottish Business Women https://www.asb-scotland.org and members can attend ASB events and enter their fantastic Awards programme. For me, this one is industry specific as it is a knowledge sharing group, with speakers focusing on digital. A great resource for upskilling my professional knowledge in all things digital marketing. Listening to the experts. However, it is not just for marketing professionals. Anyone running their own business would find it informative. A monthly business club, set up by the dynamic Niki Hutchison. Warm, supportive group with great speakers sharing their expertise and ideas for growing your own businesses. Meet first Wednesday of the month in Leith. Come away feeling motivated and ready for a new month in your Business. 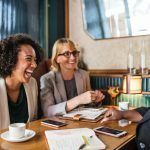 There are several similar groups that are exceptionally supportive of women in business from sharing ideas, mentoring and support. Check out their Facebook Groups and find some that suit you. A newer one for me, I have only made it to one Event. However, first impressions very positive – great speakers, good format, interesting attendees. So, I have booked up for their next Event. Look forward to chatting at a future networking event. Would love to hear from you of your own recommendations of different groups?